In recent years, China has not only focused on tackling air pollution but also seeks to curb its growing water pollution problem. In 2015, the Chinese government implemented the “Water Pollution and Prevention and Control Action Plan” and on January 1, 2018, the revised “Water Pollution Prevention and Control Law” came into effect. Both the Water Action Plan and the new Water Pollution Law show political determination and strengthen supervision. Furthermore, a focus has been laid on the protection of drinking water. The situation in China is pressing, with two-thirds of groundwater and one-third of surface water unfit for human contact, according to a report by the Chinese Ministry of Environmental Protection in 2015. 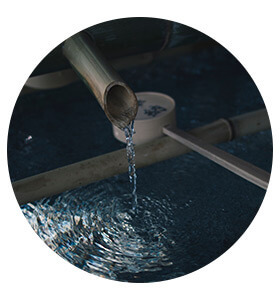 It is estimated that 280 million people in China use drinking water from unsafe sources. The North China Plain, the area surrounding the lower Yellow River and its tributaries, is home to China’s greatest water challenges, due to intense agriculture and heavy industry. In the past few years, the Sino-German Environmental Partnership supported MEE and its affiliated agencies in addressing water pollution prevention and control through the contribution of German and European know-how, experiences, and best practices. Thereby, Chinese experts are advised on aspects of water management, water policy and regulatory frameworks and toxic and hazardous substances in water bodies and control in both China and Europe.